Our smart playgrounds integrate lights, sounds sequences, games and activities to create learning, movement and interactive play. Talk to us about incorporating high-tech outdoor play in your next project, community or school grounds. Playground Centre is revolutionising play time. Get set for the playground of the future and a new level of fun! Get kids off screens and active outdoors with the latest outdoor play equipment that integrates technology and physical activity. 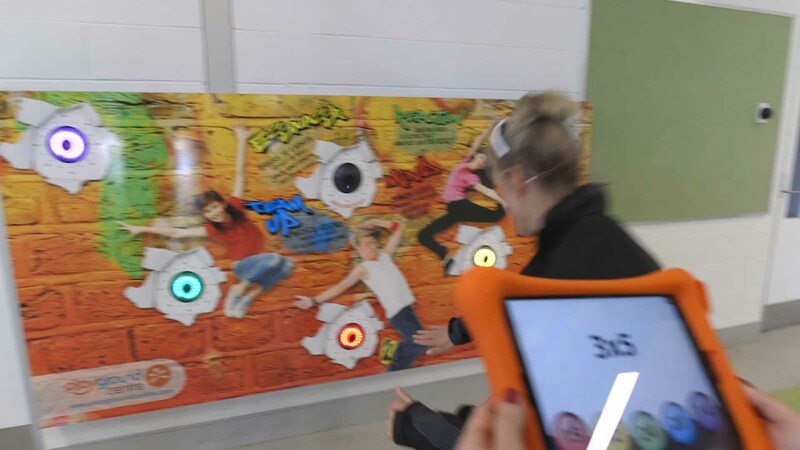 Our smart playgrounds and learning walls are designed to engage today’s screen savvy kids, whilst keeping them active. Create an entertaining and exhilarating playground experience with lights, sounds, sequences, games and activities. Children and parents alike won’t be able to resist this new multisensory style of play – just like a huge outdoor computer game. The equipment offers endless combinations of games and activities. The fast and fun games test reflexes, speed, coordination, and are designed to encourage social interaction and healthy development of fine and gross motor skills. Best of all, the technology is low-maintenance, durable, vandal resistant and waterproof – built and designed to live outside. Playing with technology has never been this high energy!